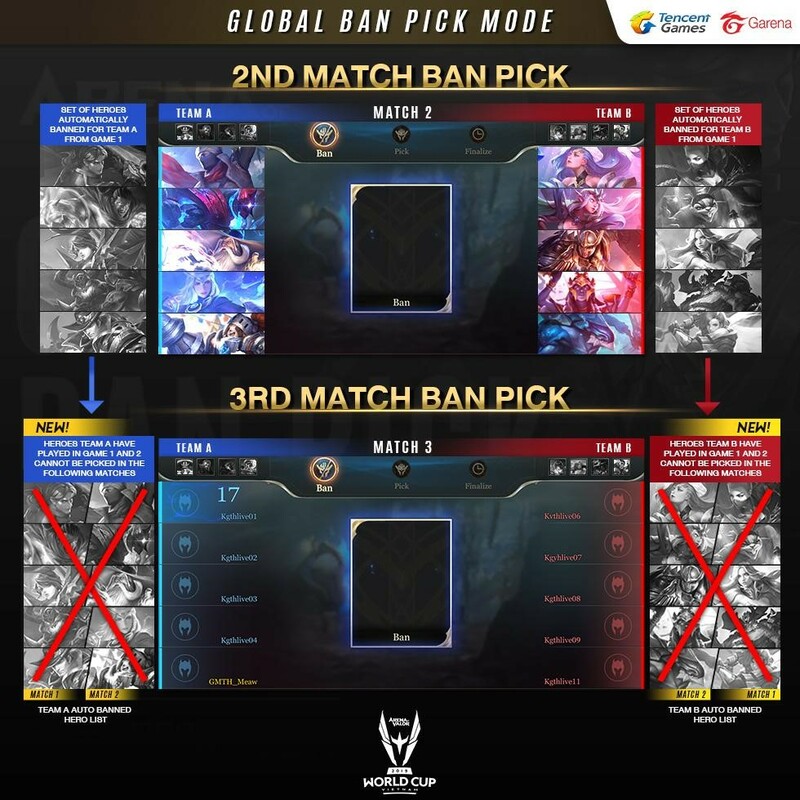 WHAT IS GLOBAL BAN PICK? In summary, Global BP is a rule that the same hero cannot be played more than once in a game within the same team. Heroes that were used by the team in the previous match are automatically banned in their remaining matches during the same game. Global BP will be applied from the Knockout Stage of AWC 2019 onwards. 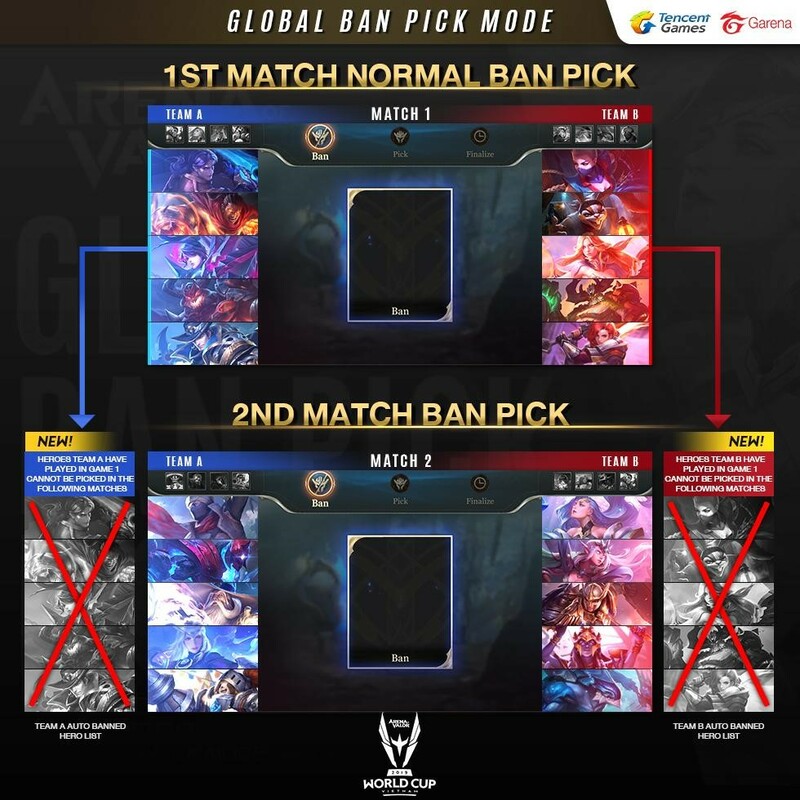 The only exception for Global BP during AWC 2019 (Knockout Stage onwards) is for Match 7 (In a Best-of-7 format), where Global BP will be replaced with regular tournament Ban Pick rules. Previous heroes played by the team from Matches 1 - 6 can be picked again for Match 7 only. Typically, heroes that are favoured in the tournament meta would be heavily repeated and featured during professional matches. The global ban pick format will ensure compulsory rotation of heroes played and hence more variety of heroes picked for draft. This new mode values professional players who are more versatile and adaptable, and adds to the importance of group communication and synergy during ban pick phases. Audience of AWC 2019 can benefit by learning how to play new heroes as they watch the match progress, or find new strategies by observing new hero draft combinations. Arena of Valor is the first game title to introduce the Global BP format in a professional MOBA tournament in South East Asia and Taiwan, and hope that the new format would inspire deeper conversations and strategies for mobile MOBA. The AWC 2019 management committee will release more information in the coming weeks, but has revealed that the next AWC venue will be in one of South East Asia’s fastest growing esports region, Vietnam. 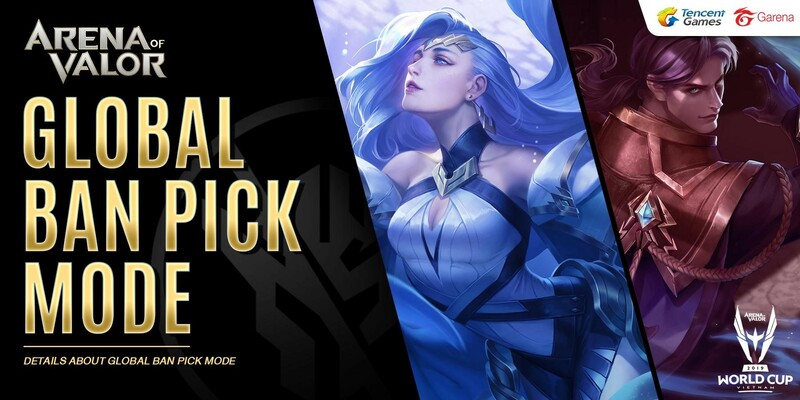 Players can look forward to AWC 2019 updates from their respective local official Arena of Valor channels. To reach out to the AWC 2019 committee for media or partnership opportunities, please reach out to contact.aov@garena.com.